Society of Seven - Broadway and Las Vegas styles clash in the production of "Society of Seven". The standard Broadway show was implemented and the extra glitz and glamour that makes Las Vegas the city it is have been added to this excellent performance. You will experience one fairy tale of a show when you go to see "Society of Seven". Audiences are raving about this delightful production. 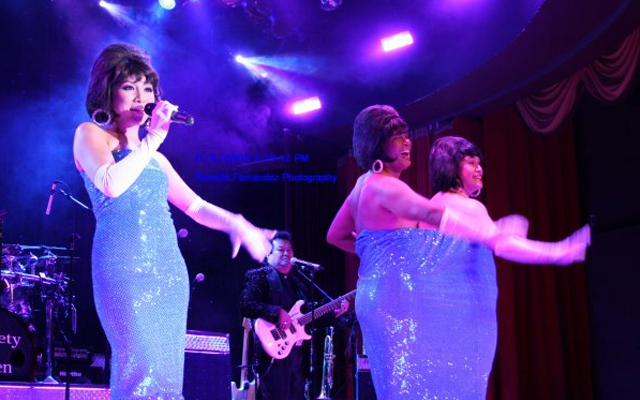 A touch of Hollywood is added to this exquisite, stage extravaganza, which is playing at the Flamingo Hotel & Casino. "Society of Seven" is more than just a show, you will also find elements of a circus, comedy show, and you cannot forget the dancing. "Society of Seven" is a smorgasbord of Broadway show tunes, musical skits, impersonations of famous celebrities, pop tunes, choreographed dance routines, and visual gags. The flashy Las Vegas style numbers are the topper for this show, which really gives "Society of Seven" a glossy finish. 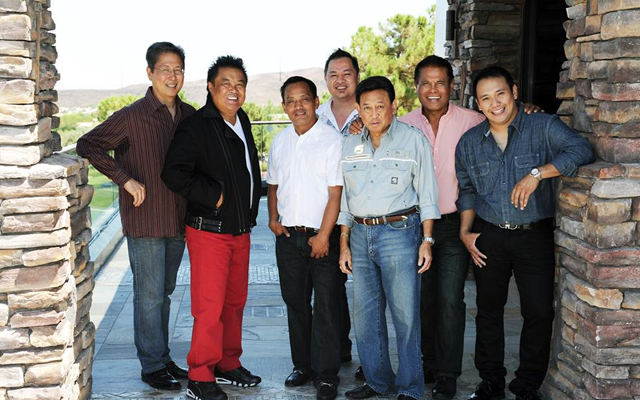 "Society of Seven" is comprised of a cast of seven Hawaiian born members. All seven are proud to work on this elegant Las Vegas Stage. In fact, the "Society of Seven" show has been refined and polished to provide an even more enjoyable show then the one that was previously seen at the Planet Hollwood. The cast members like Vegas especially because it is the "most fun" to play. Their show was specifically designed for the CenterStage at the Aladdin and the tweaks to the show were meant to appeal more to the crowd that comes to each show. 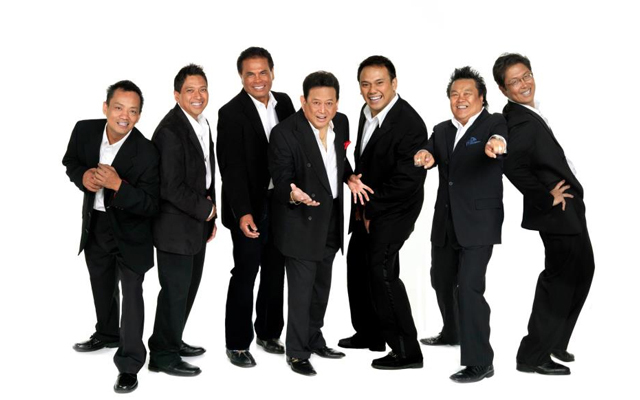 The current “Society of Seven” cast members are Tony Ruivivar, Bert Sagum, Randy Abeller, Roy Guerzo, Hoku Low, Wayne Wakai, and Gary Bautista. This group provides their own musical instruments, which they play during the show. They also perform as a host of different, famous characters. 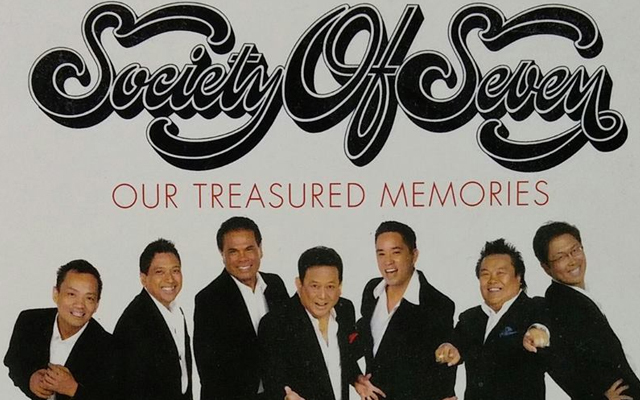 Some impersonations you will hear when you go to see “Society of Seven” perform include Liberace, Sammy Davis Jr., Kenny G, Sonny & Cher, Little Richard, and Tina Turner. Flamingo Hotel : 3555 Las Vegas Blvd South Las Vegas, NV, 89109. This show is a must see. I was not expecting it to be good because of its location and the theatres at the Riviera are old and uncomfortable....but I was so pleased we went...I laughed too hard and was pleasantly surprised to hear that Jasmine from American Idol was in the show...the talent was superb...Jonathan has the voice of Bochelli.